Ferrari teased an iconic new model would be unveiled on September 17th and the company hasn’t disappointed as they have introduced not one, but two models based on the 812 Superfast. 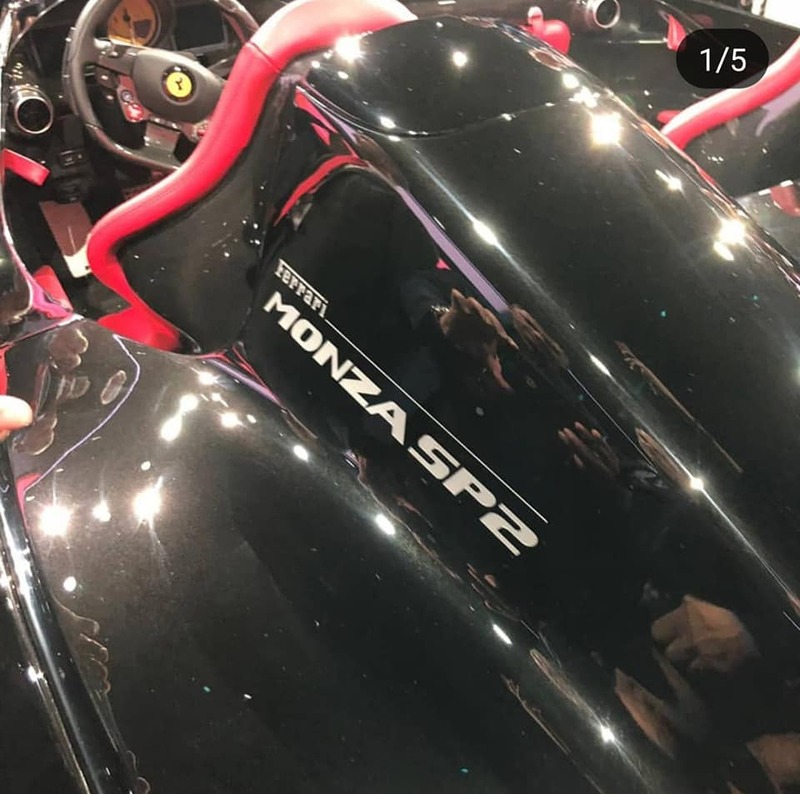 Official pictures and details will likely be released soon but, in the meantime, Autoappassionati.it says the automaker has unveiled the Monza SP1 and Monza SP2 at a special event in Maranello. 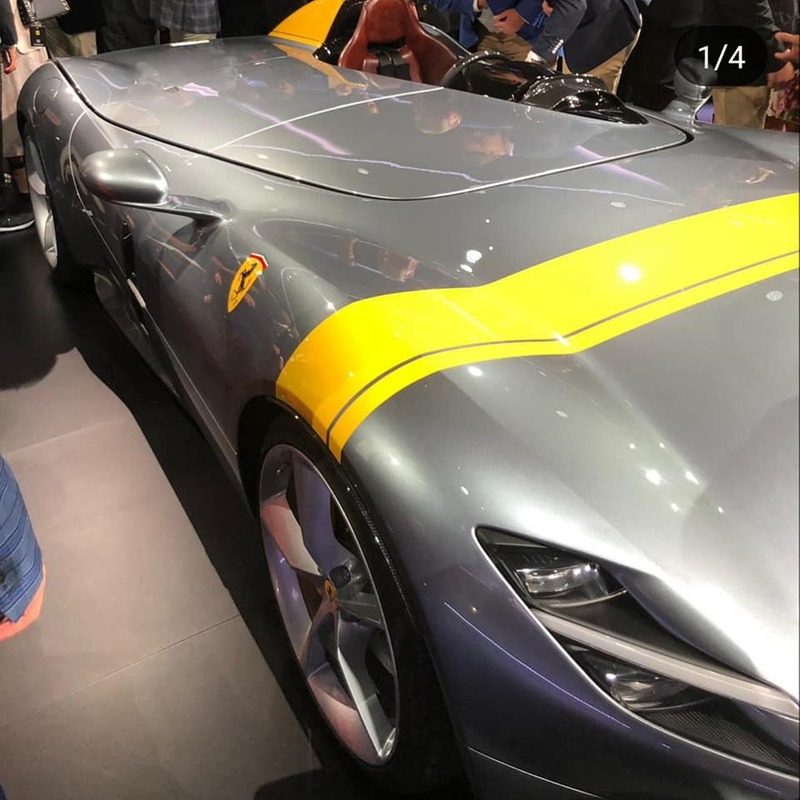 Created by the company’s Special Projects division, the models are retro-inspired speedsters which feature a compact windscreen and unique bodywork. 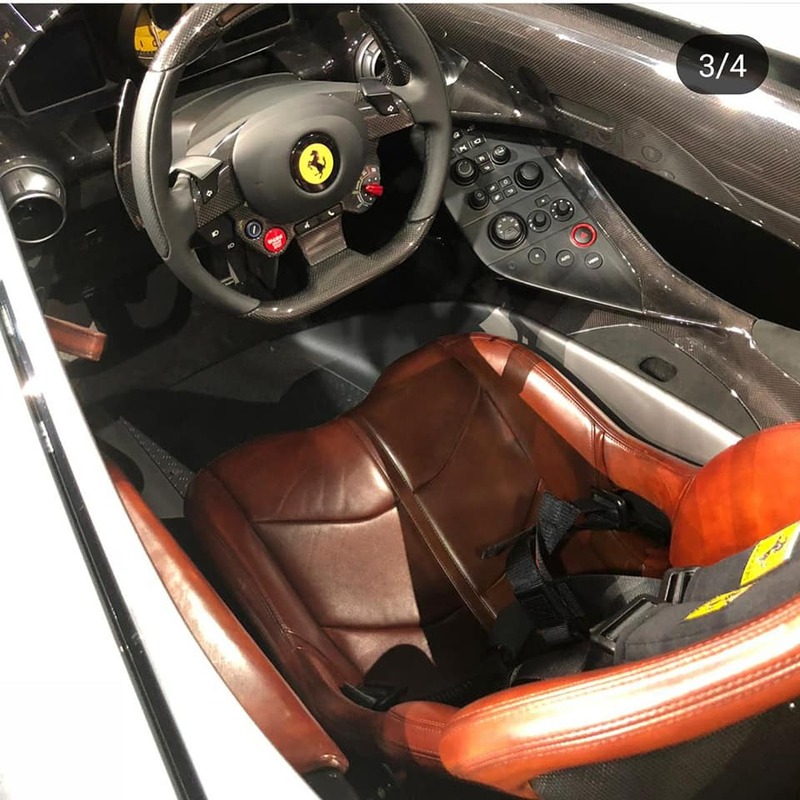 The few pictures that exist are close ups, but it’s clear that the silver Monza SP1 is a single seater which has a removable panel where the passenger seat would normally be located. There’s no word on what’s underneath the panel, but the car’s single seat cockpit is pretty tight as a majority of the controls have been relocated to a panel that resides beneath one of the two air vents. The black Monza SP2, on the other hand, is a two-seater which features a slender tunnel which separates the driver from the front passenger. The latter seating position also has a small windscreen in front of it, but it looks too small to be very effective. There’s no word on performance changes, but the standard 812 Superfast has a 6.5-liter V12 engine that produces 789 hp (588 kW / 800 PS) and 529 lb-ft (718 Nm) of torque. It is connected to a seven-speed dual-clutch transmission which enables the coupe to rocket from 0-62 mph (0-100 km/h) in 2.9 seconds before hitting a top speed of 211 mph (340 km/h). That middle partition in SP2 seems like it could be a hindrance if you were to engage in uh...inter-passenger/driver activities...which I assume happens more often than not if you're rich enough to own 1 of these and have a female companion in the passenger seat. Does nothing for me, kinda awkward and bland at the same time. 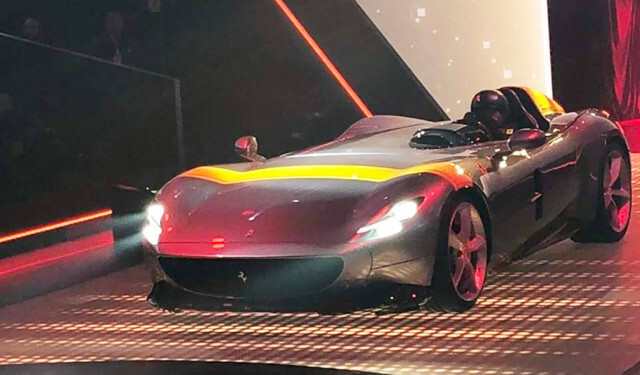 We found out some new juicy details about Ferrari’s new special speedsters at the 2018 Paris Motor Show. 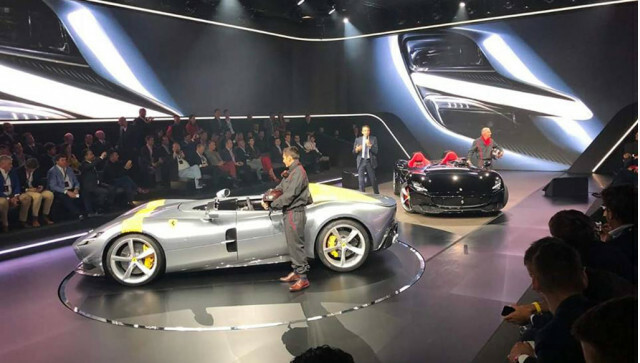 After being shown at a private event, the Ferrari Monza SP1 and SP2 speedsters that form part of Ferrari’s new limited-edition Icona series have made their public debuts at the 2018 Paris Motor Show, and they look sensational in the metal. 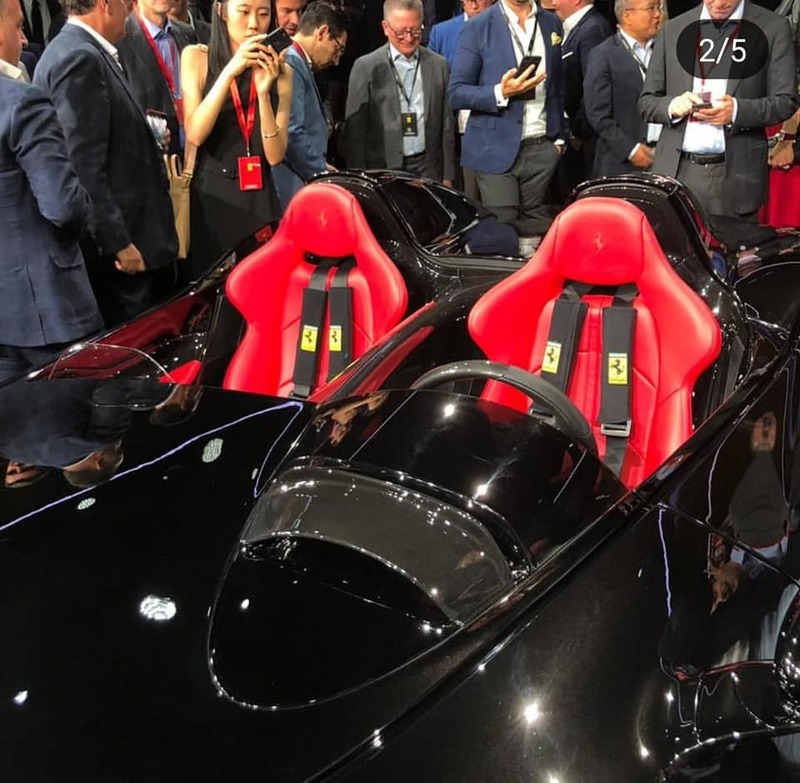 The unique coachbuilt designs are inspired by vintage Ferrari race cars from the 1950s such as the 250 Testa Rossa, but there were a few details that we discovered at the reveal event. 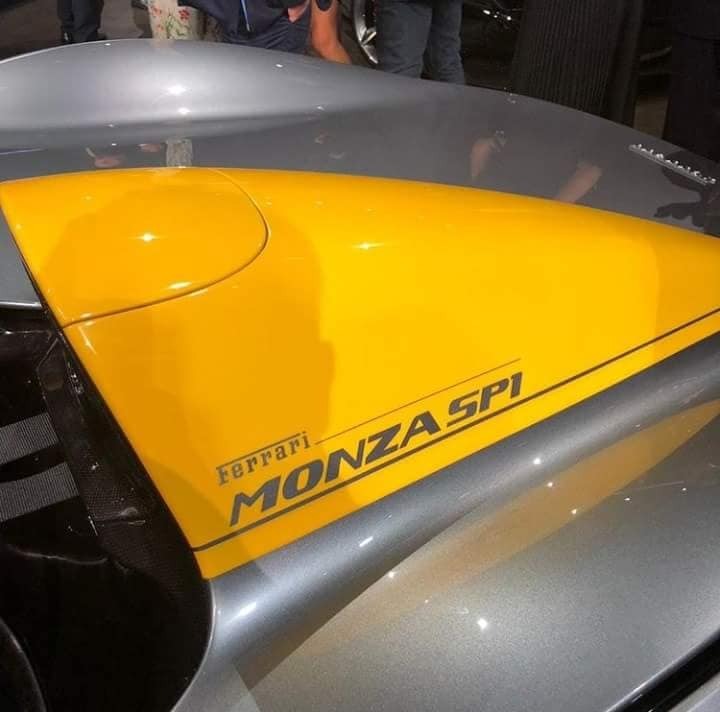 A Ferrari spokesperson informed us that "production of the Monza SP1 and SP2 will be limited to just 499 examples combined. If 498 customers want the SP1 and only one wants the SP2, then that's what we'll build." Each car is being built at a rate of one per day, so it will take a while before production is complete. And to the surprise of absolutely no-one, both cars are completely sold out, despite carrying an astronomical price tag of €1.6 million in Italy including taxes – that’s the equivalent of $1.8 million at current exchange rates. To put that in perspective, the Ferrari 812 Superfast, which both the Monza SP1 and SP2 are based on, starts at $350,000. Being based on the 812 Superfast also means there’s a 6.5-liter V12 engine under the hood, which has been increased to around 800 hp – that makes it the most powerful naturally aspirated V12 Ferrari has ever produced. Alas, there's bad news for the US market. 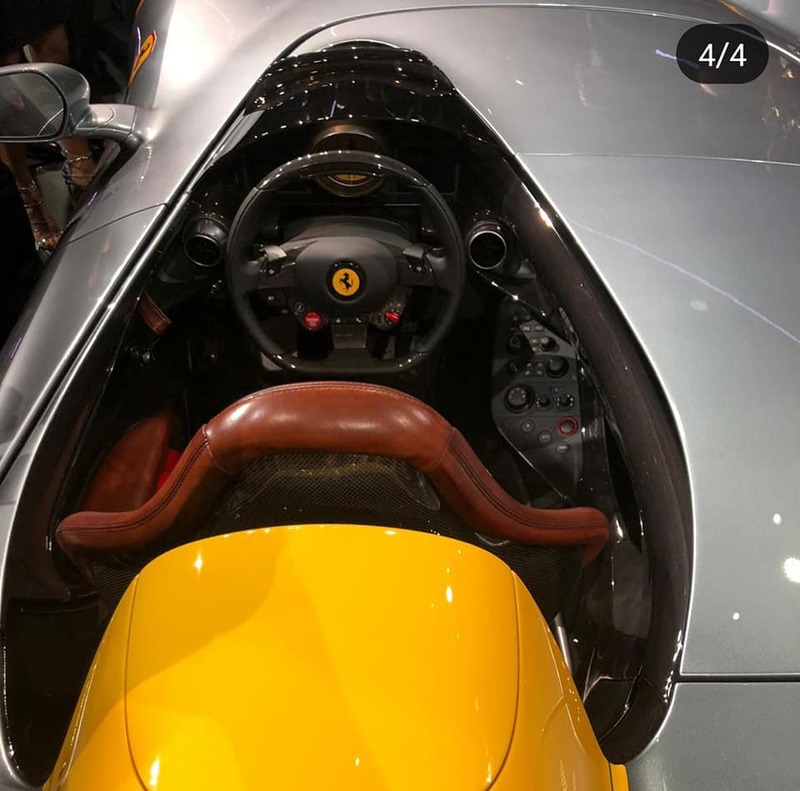 While the Ferrari Monza SP1 and SP2 can be driven on the roads of Europe, a lack of a windshield, among other reasons, means it doesn’t meet safety regulations. More limited-edition cars in Ferrari’s Icona series are planned in the future. Hopefully some will be road legal.